On the Edge of the Dark Sea of Darkness: Adventure. Peril. Lost Jewels. and the Fearsome Toothy Cows of Skree. 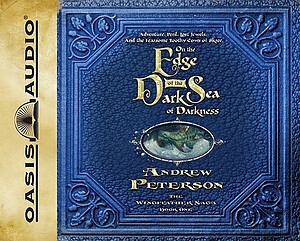 by Peterson, Andrew was published by Oasis Audio in March 2008. The ISBN for On the Edge of the Dark Sea of Darkness: Adventure. Peril. Lost Jewels. and the Fearsome Toothy Cows of Skree. is 9781598593525. Buy Together Offer for On the Edge of the Dark Sea of Darkness: Adventure. Peril. Lost Jewels. and the Fearsome Toothy Cows of Skree. Reviews of On the Edge of the Dark Sea of Darkness: Adventure. Peril. Lost Jewels. and the Fearsome Toothy Cows of Skree. Be the first to review On the Edge of the Dark Sea of Darkness: Adventure. Peril. Lost Jewels. and the Fearsome Toothy Cows of Skree.! Got a question? No problem! Just click here to ask us about On the Edge of the Dark Sea of Darkness: Adventure. Peril. Lost Jewels. and the Fearsome Toothy Cows of Skree.. 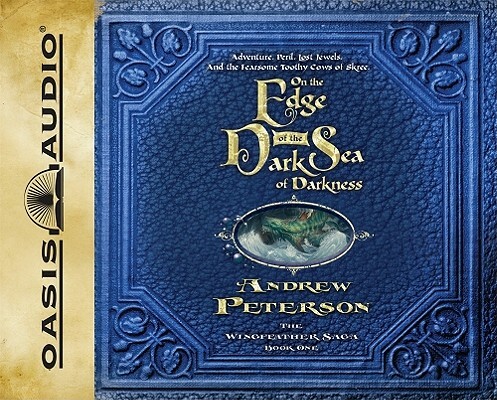 Details for On the Edge of the Dark Sea of Darkness: Adventure. Peril. Lost Jewels. and the Fearsome Toothy Cows of Skree.